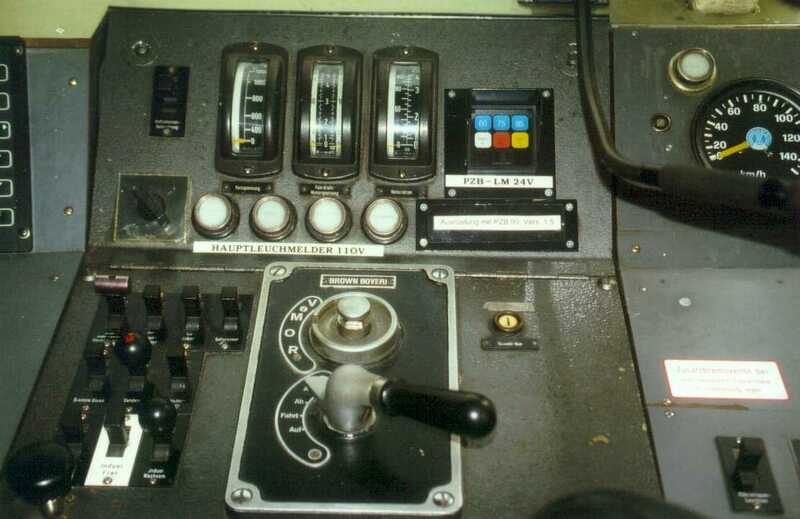 Here you see some cab displays and control panels. Click on the images to get a larger version. 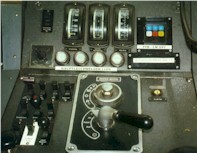 The control panel of a control car. 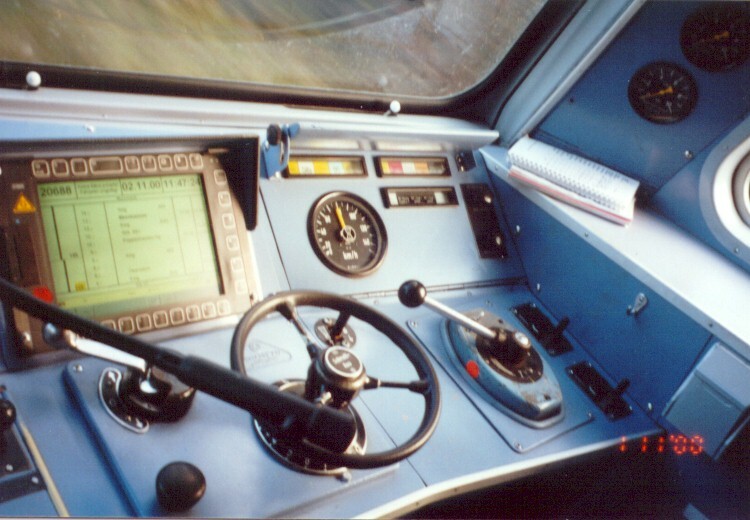 The computer display is the EBULA (Elektronischer Buchfahrplan, electronic timetable and low-speed areas index), the "steering wheel" is the traction switch and the handle to the right is the brake valve. 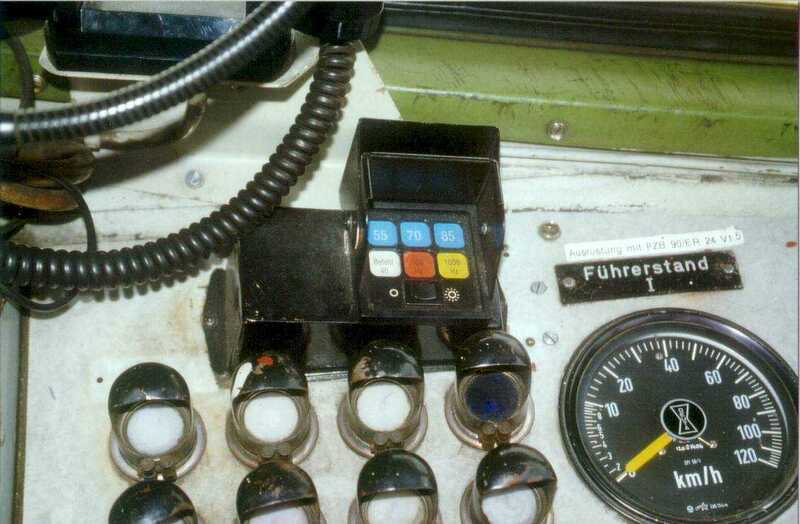 A BR 735/740 "Karlsruher Kopf" control car. The tree meters are left-to-right: battery voltage, catenary voltage, motor current. 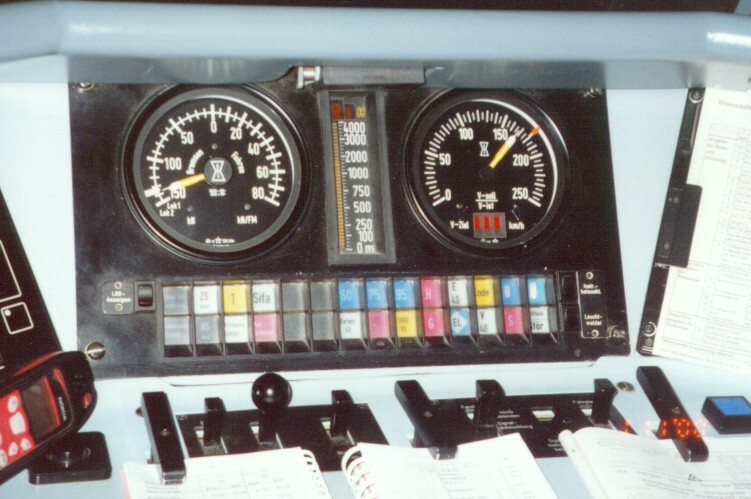 The small panel to the upper right is the Indusi display: 60-75-95 km/h control speed, white "Befehl 40" (order 40 km/h) indicator, 500 Hz and 1000 Hz control indicators. 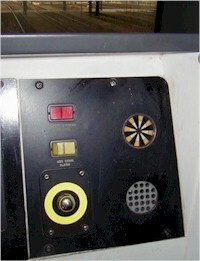 A BR 212's cab display. Look at the modern design and especially the fitting of the Indusi display! 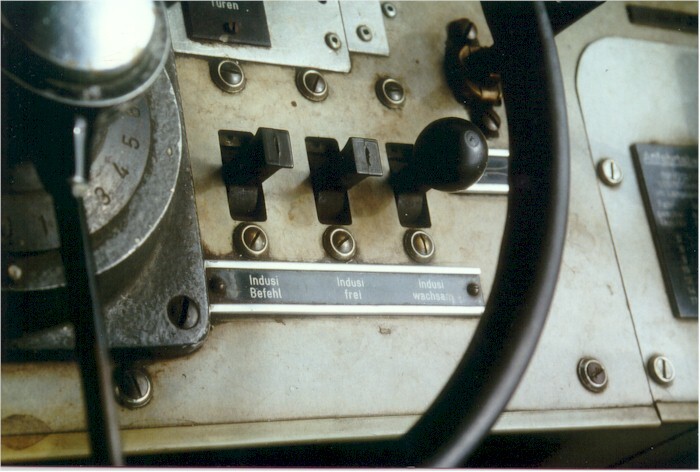 Three switches for the Indusi system, see the Indusi pages for an explanation. 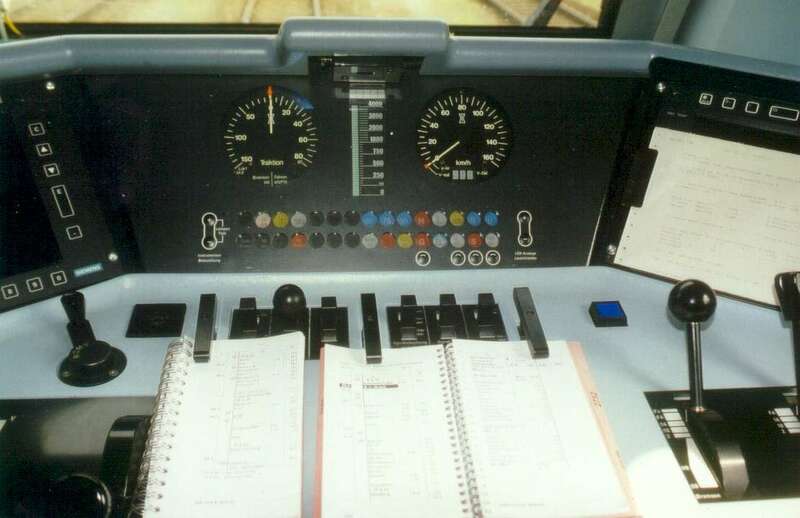 A British AWS display in a class 465 EMU. Picture courtesy by Kelly Smith.